The US Department of Labor's National Agricultural Worker Survey (NAWS) has been surveying workers employed on US crop farms since 1989. Many worker characteristics have V- or inverted V-shapes with peaks or troughs around 2000, when unauthorized migration from Mexico was at its peak. 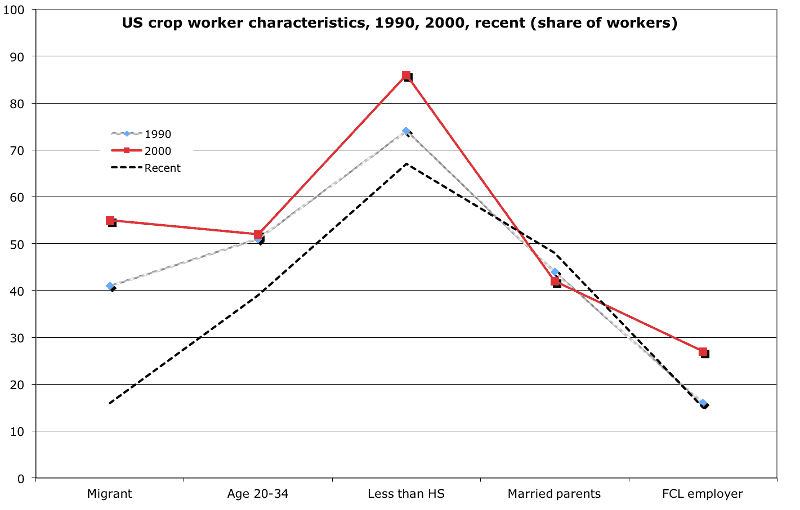 For example, the share of migrants who moved at least 70 miles to do farm work was highest in 2000, as was the share of workers who were aged 20 to 34, and the share with less than a high school education.